Chef Ron Jardon has been the chef for all of our winemaker’s dinners since our first dinner in the vineyard in 2009. His delicious recipes and knack for wine pairings has showcased our various vintages spectacularly and given us greater insight into the nuances of each wine. 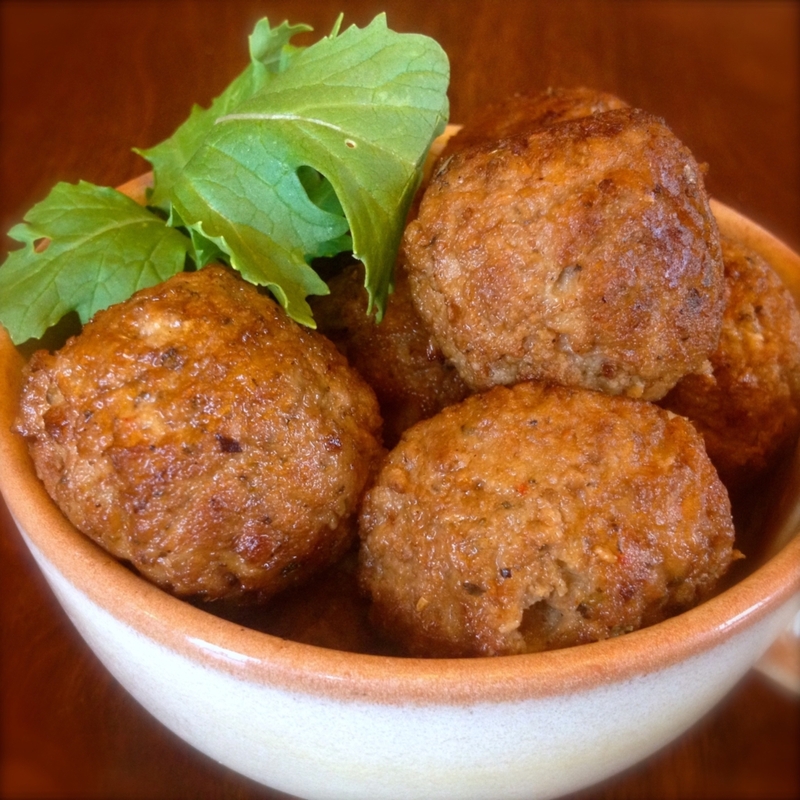 Using lamb from Desert Weyr farms across the road from our vineyard, he crafts these simple-yet-scrumptious meatballs which we’ve used for everything from potlucks to wine trail appetizers. Beef can be substituted for lamb (try Princess Beef’s delicious local hamburger), or substitute basil for spinach and serve these in our Red Wine Tomato Sauce with fresh pasta for another delicious Stone Cottage Cellars Merlot pairing. Mix all ingredients except oil in a large bowl. Roll 1/4 cup of mixture into each meatball and sauté on medium heat in olive oil for 2-3 minutes or until firm to the touch. Serve with Stone Cottage Cellars Syrah.